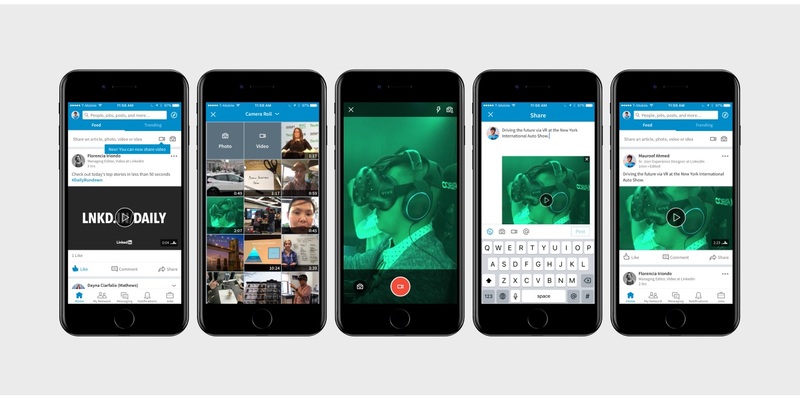 LinkedIn has begun rolling out the ability for users to upload videos. Group product manager Pete Davies announced in a blog post that the professional network started testing the feature last month, and he shared examples from Edwin Rhemrev, Madison Allen and Chris Chien. LinkedInVideo from SocialTimes on Vimeo. Davies said the feature is being rolled out globally to all users “over the coming weeks,” adding that users who already have access can tap on the video icon in the share box at the top of the feed in their iOS applications or the post button in their Android apps to record or upload videos. Users will have access to insights including companies, titles and locations of viewers of their videos, as well as total views, likes and comments. These insights will be available via the dashboard section of their profiles, on both mobile and desktop.